Boyne Valley in Ireland is a place of history, myths, and legends. Made up of Counties Meath and Louth, it forms part of an area known as Ireland’s Ancient East. 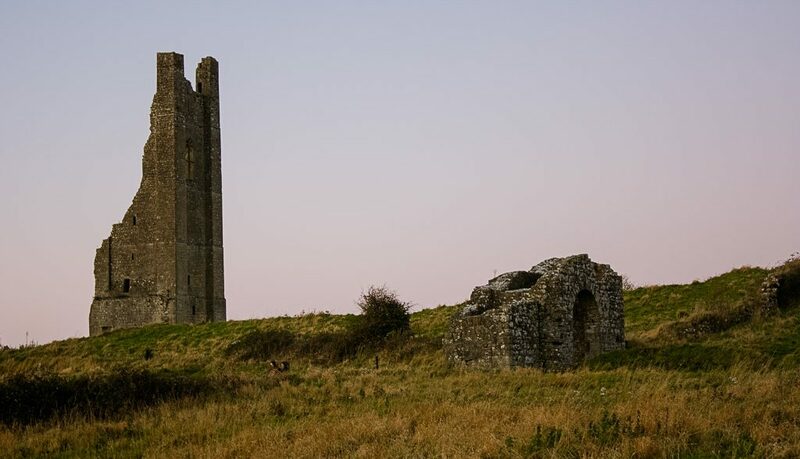 Although practically on the doorstep of Dublin, Boyne Valley is a place where rolling hills are topped with prehistoric tombs, where medieval ruins dot the river banks, and where a major battle was once fought in the lush fields. At the base of the Sliabh na Caillíghe hills, Loughcrew Megalithic Centre is an ideal starting point for a visit to the cairns. As well as a cosy café, craft shop, and restored traditional cottage, you can book guided tours. The Loughcrew Cairns is a complex of passage tombs that are older than Newgrange, but for some reason, aren’t nearly as well-known. 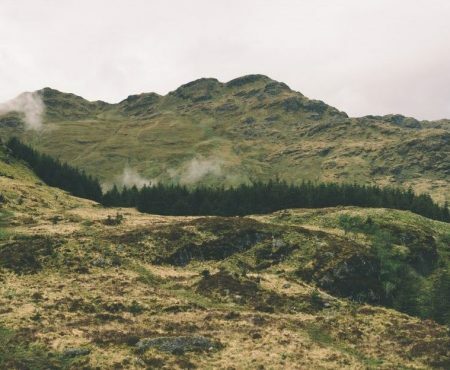 They’re also cloaked in mystery – one local legend has it that the rocky structures were formed when witches flew over the hills, dropping pebbles from their broomsticks. Legends aside, the Loughcrew Cairns are spectacular. Thought to have been built around 4000 BC as burial chambers, the megalithic complex is spread over three hills. 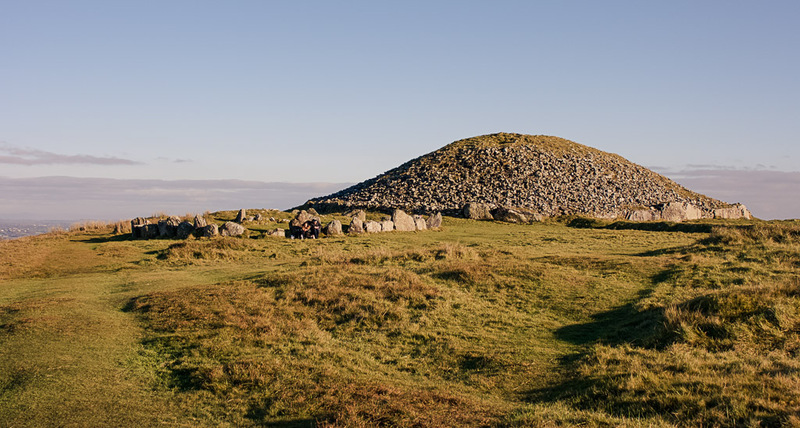 Cairn T is the largest and it sits on top of Carnbane East, the highest point in Meath. To reach it, there’s a short, but steep, hike up the grassy hillside. Fluffy sheep graze on the green slopes and on a clear day, there are views out over the valley. It’s Ireland at its postcard best. Niall and Fechin, who run the centre, took me up into the hills to Cairn T. Their knowledge, stories, and enthusiasm made it one of the most enjoyable tours I’ve ever taken. During the summer, visitors can borrow the key to Cairn T and explore independently, but a tour from the guys at the Megalithic Centre is a treat. Guided tours of Loughcrew start from €12. At Loughcrew Megalithic Centre, you can also take a tour of the lovingly restored Maggie’s Cottage. The cottage, which has been in Niall’s family for generations, is filled with artefacts and original furnishings. There’s also on-site accommodation in the centre’s hostel and campsite, and from next year, it’ll be possible to stay in yurts. 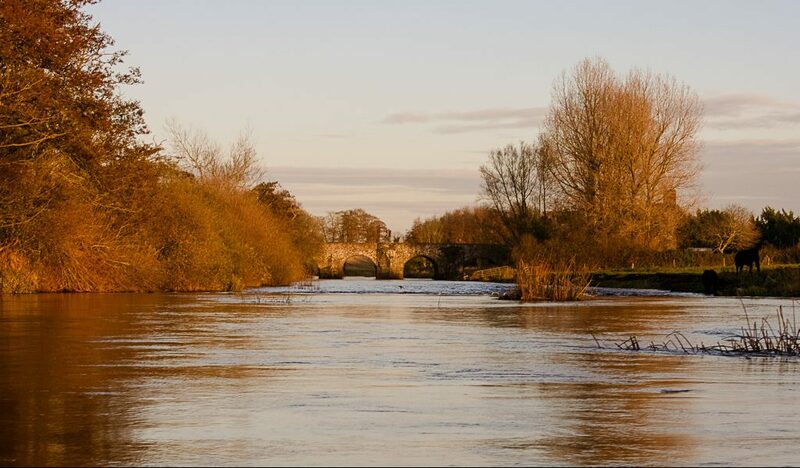 The River Boyne flows through some of the most historically significant parts of the Boyne Valley. One of the best ways to follow its route is to get onto the river itself. Boyne Valley Activities offers visitors the chance to experience the history of the area in a kayak, canoe, or raft. It’s an eco-certified company, founded by Dara and James, who are all about promoting responsible tourism in Boyne Valley and having a minimal impact on the environment. As well as their commitment to ecotourism, the owners of Boyne Valley Activities are clearly passionate about what they do. Their love for the region and their knowledge of its history shines through during their river tours. On an icy winter day, I headed out with James for the ‘Float Through Time’ tour. This tour follows the Boyne River through Trim – a heritage town that has more medieval buildings than any other town in Ireland. Typically, the river tour is reserved for larger groups and uses eight-man rubber rafts. But because nobody else was mad enough to venture onto the water that day, we were able to drift down the blissfully quiet river in a canoe. As well as keeping me highly entertained, James gave me a great overview of Trim’s fascinating past. But if you want more action than a canoe can offer, Boyne Valley Activities also runs two-hour kayaking tours. These tours don’t require any kayaking experience and the guides are Canoeing Ireland qualified. Visitors can also choose to do a self-guided kayaking or canoe trail. With 35 kilometres of river there’s lots to see and Boyne Valley Activities provides all the necessary equipment. Two-hour kayaking trips are priced at €40, while self-guided canoeing/kayaking trips cost €45 per day. Slane is a pretty heritage village in Co. Meath and the surrounding area is rich in history. The main sites are located quite close together, so it’s perfect for exploring on a bike or on foot. The Hill of Slane is one of the most historically significant sites in Ireland – largely because of its association with St Patrick, Ireland’s national patron saint. Visitors are free to explore to the hill, but you could also join an organised walking tour. The beautiful Rock Farm Slane organises walking and cycling tours of the surrounding area. A 90-acre organic farm, Rock Farm forms part of the Slane Castle Estate. The Heritage Walk is a five-hour tour that leaves from the farm, passes through Demesne Wood, tours Slane Castle, heads up the Hill of Slane, and includes a picnic lunch. There are also electric bikes for rent at the farm if you want to explore at a speedier pace. Rock Farm Slane’s guided tour costs €55 per person, based on a minimum of four people per group. A major event in Irish history, the Battle of the Boyne was fought in 1690 between William of Orange and James II. But what was once a bloody battlefield is now home to extensive gardens, quiet walking trails, and a museum in the very grand Oldbridge House. There are five self-guided walks throughout the Oldbridge Estate, including a canal walk and a river walk. Maps are available from the visitor centre. The restored walled garden is a peaceful place to have a wander. Entry to the garden is free and you can explore the sunken Octagon Garden, the apple orchard, Peach House, and an exhibition on historic gardens in the Bothy. Planning a trip to Boyne Valley? The lovely Dunboyne Castle Hotel & Spa is just a short drive from most of the main heritage sites. Rock Farm Slane has a glamping site and a beautiful eco-lodge that’s available for group bookings. If you want to cover lots of ground, driving is the easiest way to get around this part of Ireland. Many thanks to Discover Boyne Valley for hosting my trip. As always, all opinions are my own.